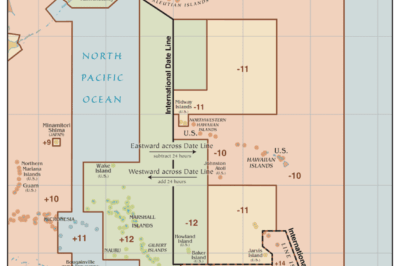 Map showing the International Date Line. Source: Wiki Commons, 2014. 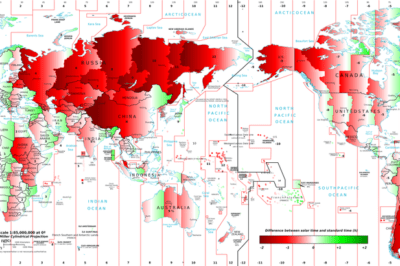 The gap between official time and solar time around the world. Map: Steffano Maggiolo.